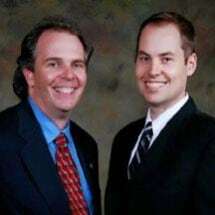 The experienced attorneys at the law firm of Blackford & Flohr, LLC, in Towson, Maryland, take pride in advancing the interests of our clients to the fullest extent allowed by law. No matter what issue you are facing, we offer a free initial consultation to discuss your case and answer your questions. Criminal law: When your liberty and your good name are on the line, contact our criminal law attorneys for the strongest possible defense. Traffic and DUI: There are many defenses to DUI charges. Contact our lawyers as soon as possible after your arrest. Divorce: Going through a divorce in Maryland can be traumatic both personally and financially. Our lawyers can help. Estate planning and probate: We can help you plan for the future of your family and your property. Our lawyers are also available to assist you through the probate process. Personal injury: Contact us after an accident and we will take immediate steps to protect your rights. Our law firm believes that every legal case is an opportunity to obtain a positive outcome in your life. We have law offices in Severna Park and Towson, and we serve communities in Anne Arundel County and Baltimore County in Maryland.